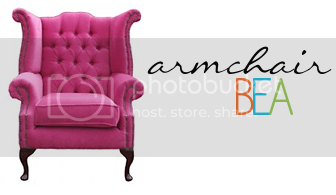 Jellyfish Reads: Armchair BEA: Beyond the Borders + Giveaway! Armchair BEA: Beyond the Borders + Giveaway! It's time to step outside your comfort zone, outside your borders, or outside of your own country or culture. Tell us about the books that transported you to a different world, taught you about a different culture, and/or helped you step into the shoes of someone different from you. What impacted you the most about this book? 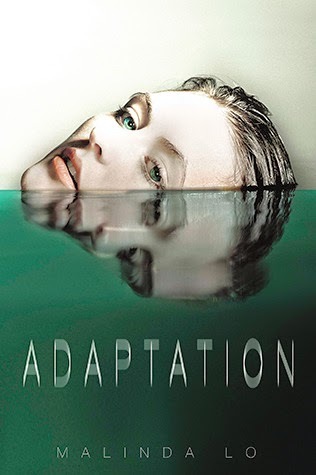 What books would you recommend to others who are ready or not ready to step over the line? In essence, let’s start the conversation about diversity and keep it going! 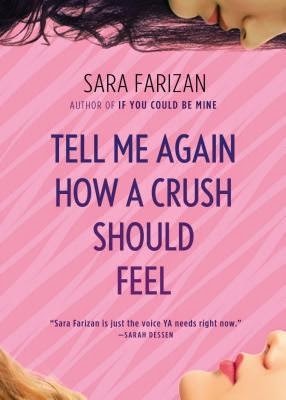 Tell Me Again How a Crush Should Feel by Sara Farizan isn't out until October, but I read the e-galley and it was a-ma-zing. The MC, Leila, is an Iranian-American girl (and a lesbian), and I loved learning about what her family was like, and reading about all the get-togethers they'd have with other Persian families. It was super interesting how much I, as a Chinese person, related to her experience. Sara Farizan's debut novel, If You Could Be Mine, is actually set in Iran, and about the romantic relationship between two Iranian girls. Though I haven't read that one, I feel like I probably should, seeing how much I enjoyed Farizan's second book! 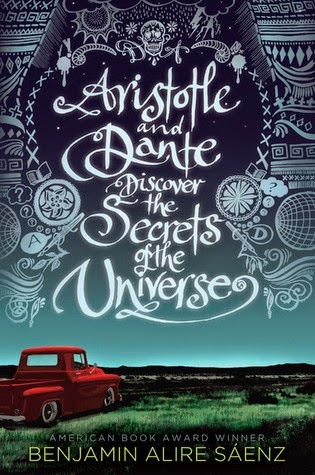 Aristotle and Dante Discover The Secrets of the Universe by Benjamin Alire Sáenz features two Mexican-American boys who often talk about how they feel about being Mexican-American, how they hardly know what it means to be Mexican-American at all. It was all very thought-provoking. Like I said, I'm Chinese myself. (I come from Hong Kong. Every time I read a book I'm stepping outside my own country, practically.) And I have to admit that I actually look at a lot of 'culturally diverse' books (especially fantasy books inspired by Asian cultures) and feel wary about reading them if they're written by authors who are white, or not of the race that the book focuses on. I just... Cultural appropriation, you know? *sags* I know that not all of those authors will go wrong like that, but... I'm just less confident about those books. This is why I really should check out more Asian-American authors though! I haven't read any books by Jenny Han, or Marie Lu, or Cindy Pon, or Ellen Oh... But I will someday. *glances at ever-growing TBR pile* Malinda Lo, though! 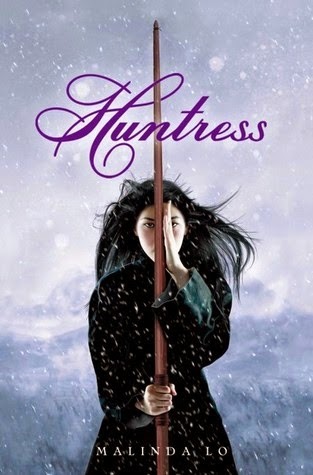 *beams* Huntress by Malinda Lo was delightful. Chinese-inspired fantasy! Lesbians! As you can probably tell, I read a lot of LGBTQ books, being one of those letters myself (well, two, really, since I love identifying as queer but will probably use the word bisexual most of the time if I'm not talking to other queer people). I have to admit I fail to pay enough attention to the letter T and I do apologise for that! This is something I'm keen to rectify, as I know trans people often get left out of the conversation and books with trans characters are not as common as books with gay/lesbian characters, and are also less often talked about. 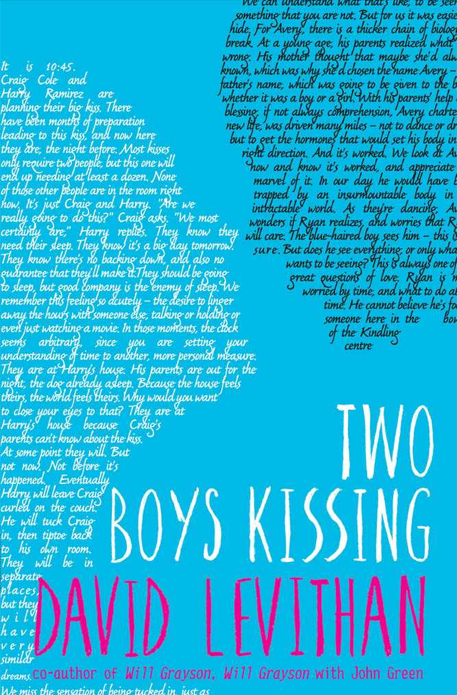 But I was really pleased that Two Boys Kissing by David Levithan, which showcased the stories of quite a few gay male characters, included a trans gay boy among the cast. (Oh, and one of the other gay boys was Korean-American, which was also lovely to see!) Laura Lam's Micah Grey series is one of my favourites, a wonderful fantasy series featuring an intersex genderfluid bisexual MC. And yeah, this year I've been really lucky to finally read some great books with bisexual MCs (apart from the aforementioned series by Laura Lam, I've read Far From You by Tess Sharpe, Grasshopper Jungle by Andrew Smith, Adaptation by Malinda Lo, Coda by Emma Trevayne). Oh, and the MC in Far From You is disabled as well, which is something that is also important, of course! There are definitely a lot more books with disabled characters these days, which is great, though we always need more. I've read a few others this year already, but none that was as good as Far From You. I feel like with me and my search for diverse books, though I do always love learning more about other people's experiences, it stems more from a desire to finally be able to step into my own damn shoes in a fictional setting. I read as many books as I could find with gay MCs when I was growing up, because there were still very few books about lesbians and even fewer books about bisexual teenagers, and so gay MCs were the closest I could get to something that seemed to resemble my own voice. In the giveaway below I've included the one book with a gay MC that I read while growing up that has left the deepest impression upon me: Sprout by Dale Peck. I don't know what it is about that book, but it just really resonated with me at that point in my life, and it seemed a lot like hope to me, this book about a boy with bright green hair and a penchant for writing and for other boys, whose voice was just so unique and beautiful, and it made me feel like I would not have to be silent forever about who I was. The Miseducation of Cameron Post by emily m. danforth wins the "WHERE HAVE YOU BEEN ALL MY LIFE" award. 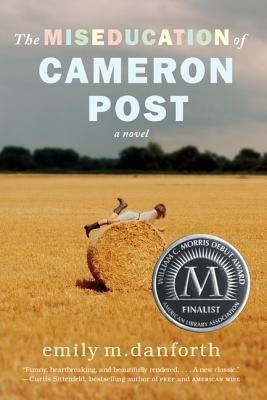 I loved reading about Cameron, a gay girl growing up in 1980s-1990s rural America, and all the difficulties that came with them. I have been much luckier in my life than her, but reading her story still felt like coming home, in a way. There are two more books I included in the giveaway below that I haven't talked about here, so I'll just briefly mention them. 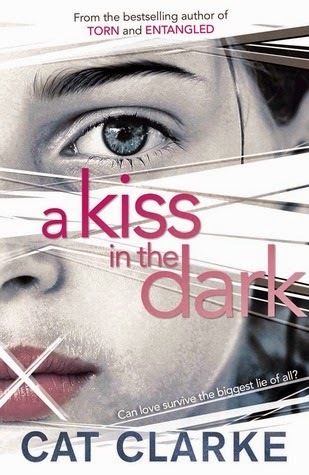 Tides by Betsy Cornwell features two elderly women in a long-term relationship with each other, and A Kiss in the Dark by Cat Clarke? Well... that would be spoilers. But suffice to say, it's fantastic queer UKYA. And with all the talk of diverse books above, here's an LGBTQ book giveaway! Yay! You can win one of the many books I've babbled on about in this post! The winner must choose a paperback copy of ONE of the books listed below. The winner will be notified by e-mail. If they don't respond within 48 hours, I will pick another winner. The contest runs until midnight BST on 12 June. The giveaway is open internationally (as long as the Book Depository ships to you). Entrants must be 13 or over. Very honest and informative post :). I will chech out Farizan, Danforth and Clarke. There's been an increasing awareness lately about lack of diversity in books, and an equally increasing demand of diverse novels, whatever "diverse" stands for. GLBTQ+ books are making a breakthrough...I hope cultural-diversity-oriented ones will do that too! (not to mention books with disabled characters). BTW - thanks for the giveaway! 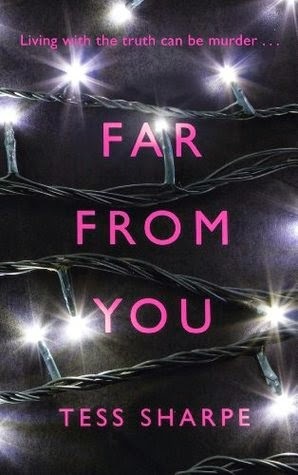 I'd like to get my hands on Far From You :). Just wanted to let you know the Google Friend Connect link doesn't seem to be working :) Have a great day! Of all the kinds of "diverse" books out there, I think ones featuring LGBTQ and mental health are probably the ones I'm most interested in. Not to say that reading about other cultures isn't important too, but I like exploring those things that you can't necessarily see when you look at someone for the first time. 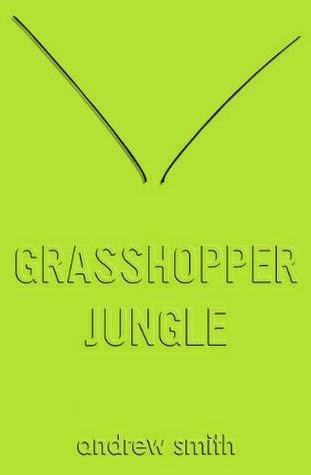 I loved Grasshopper Jungle. Fantastic! Thanks for sharing. Now this is a GREAT giveaway and there are more than a couple of those books that I've been curious about. Thanks so much for the opportunity! This is the giveaway I've been waiting for! Thank you from one QLTBG person to another! I've had The Miseducation of Cameron Post on my shelf forever. I HAVE to read that one soon. Ashamed that I haven't already! Such great choices! And I love that you mentioned Tides - the relationship between the older women is so sweet. PANTOMIME has been on my TBR list for a while now! All great choices. I love that we are seeing more and more LGBTQ characters in books. Most people talk diversity and automatically go to different races. I think it is refreshing that more and more authors are moving away from what I always refer to as "cookie cutter" characters. the books you've mentioned sound pretty good. I'll have to check some of them out. Thanks! Do check out Danforth especially; I loved The Miseducation so much, and she's got a queer contemp coming out later this year (I think?) called Side Talks With Girls, though there's not much info on that yet. I'm very excited for it! Yeah, I'm really glad about the #WeNeedDiverseBooks campaign; really admire all the people who started it! There's so much that we should talk about when it comes to diversity. Thanks! Glad you like the giveaway. (: Hope you like all these books when you do get round to reading them! Thanks! Hope you enjoy Pantomime when you get round to reading it! I really loved that book so much. Yeah, I'm glad that we are now having conversations about all sorts of different types of diversity in books now. All those things are equally important and nobody should feel like their voices have been left out. (: I'm so grateful to the people who started the #WeNeedDiverseBooks campaign. Yeah, LGBTQ books are really important to me, and mental health ones too since I've known a fair few people in my life who are affected by these issues. (: I hope you'll check out these books even if you don't win and find some new favourites. I'm always happy to encourage others to read more diverse books! Yay! :) Glad I could help. That is exactly why the main character in my own writing I am the most drawn to is autistic. I feel that people with autism are underrepresented in fiction. It might just be that since my youngest child is on the autism spectrum, I am more aware of it now, though, too. I WILL READ THE SKYSCRAPER THRONE SERIES! AND WE WILL FANGIRL ABOUT PEN TOGETHER! I'll probably be getting it used but I want to search around bookstores a little more, because getting used books online always worries me-- I'm afraid that it will be in bad condition. Once I ordered from Amazon and there was this huge piece of gunk on a page that was so gross that I dropped the book when I found it. IT WAS THAT BAD! Woah! I thought you just lived in England! It must get tiring to travel back and forth! That's a dumb reason but what makes it sad is that it might be true. YA is very much in love with romance-- sometimes I think it gets to be too much. I mean, I seriously can't imagine myself dating and falling in love until, like, college. Or after college. OR NEVER! CATS WILL BE MY ONLY FRIENDS! I didn't know that about Eon... I thought it was going to be about her overcoming the disadvantages of being disabled and being comfortable with it-- I'm disappointed now... Um, and a random thing about Ultraviolet: The paperback is SO NICE TO LOOK AT! It has this cute little size to it and it's so shiny and the cover image is so mysterious and it feels durable and not like I'm going to bend the cover. I adore it more than some of my hardcovers... Never have I loved a paperback so much. Suicide books aren't really my thing either. I'll still read them but suicide is an issue that is just too permanent. There are issues that people can work through but suicide isn't. And it just makes me REALLY depressed and while I like sad books, I don't like books that make me depressed. You're awesome too! :D :D The best blogger I have ever met that used a sea creature's name in the title <3 By the way, I found out that some species of jellyfish are practically immortal. I want to be a smart jellyfish so I can read forever and READ ALL THE BOOKS! Um. I just had a weird moment. I've read five of the books on your list, most recently Aristotle and Dante Discover The Secrets of the Universe, which caused me to burst into the most appreciative, heartfelt tears upon finishing. But I'd love to check out some of the others. Hooray for diversity in books, hooray! I really loved If You Could Be Mine so I definitely recommend it. 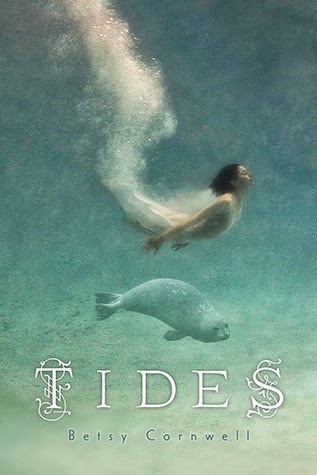 I wanted to read Tides because I love selkies. I didn't even know it was LGBT. Yeah, Ari & Dante was really good! (: Hope you discover some new favourites in this list! I am a #cheerREADER on Team4 w/ the #ArmChairBEA! I had meant to drop by far sooner than now but I was a bit delayed in arriving until tonight! I am thankful that the discussion for #WeNeedMoreDiverseBooks was such a revolution of conversation sprouting throughout the book blogosphere! I happily joined in on the discussions on Twitter, including tweeting out the book reviews I have already posted which fall under what I believe is #EqualityInLit as much as I was thankful to see such a heartfelt response from everyone else who participated! I discovered #diverselit which is a weekly Twitter chat I could only attend once thus far (due to time issues) where the conversation carries forward and continues further. Then, during #ArmChairBEA they held the topical discussion about "beyond borders" and I am thankful to find that this particular topic is open to interpretation of how we choose to 'cross the border' and read a diverse array of literature. You're lovely blog post highlights key novels for LGBT (has it changed to putting: LGBTQ?) fiction which I think is brilliant! The novel which spoke the most to me in this branch of literature was "Etched On Me" by Jenn Crowell!? I wrote a review & interviewed the author in April! Powerful story and as you had mentioned you wished you had had role models in stories where you could identify with the lead characters!? I felt that for those who are searching for not only acceptance in life but to find a way to have self-acceptance for their identity "Etched On Me" is one where I think you will find compassion is held inside. The author wrote a compelling story based on true life, and her lead character's heart bleed into the pages allowing you to feel as though you were living inside her shoes. It also is a good interpretation of how to be more open about mental health and mental wellness in fiction. The best dialogue of all is sharing our love of the stories which move our hearts and stir our emotional ties to the stories. Thanks for sharing! :D :D I hope you'll end up buying the books you want even if you don't win! And yeah, there's always room for more diversity. I found a list on Tumblr of LGBTQ fantasy books and there are some books with asexual protagonists listed under 'Other Sexuality' so you might want to check it out. Also, there's a YA book called Ultraviolet, and the sequel, Quicksilver, has an asexual character. That's what I've heard, anyway, since I haven't read it myself. But I've ordered a copy of Ultraviolet and I'm very excited to read it. I haven't read any of the books on the list. 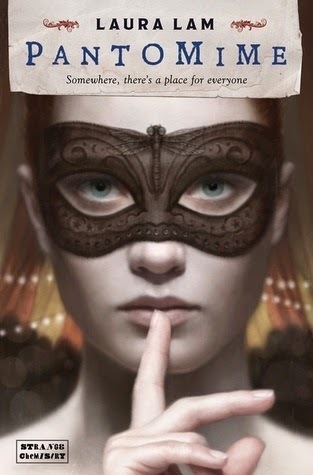 :( Though Coda and Pantomine are in my TBR list. Well, my intention with this post was definitely to encourage people to read more of these books and books like them. 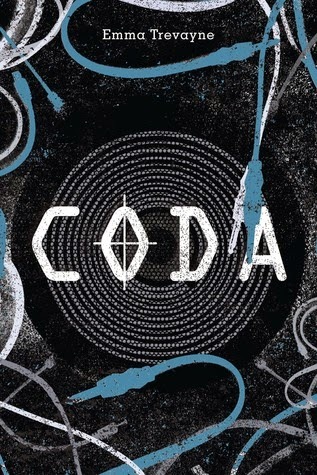 (: Coda and Pantomime were both SO GOOD, omgggg. I hope you enjoy them. I am so glad that I found this post today! Within the last two weeks I've been thinking I need more diverse reads - across the board - character, setting, genre, you name it, I need it! I posted about that very thing today. I will be putting these books on my Diverse Reads shelf. In the fall, I will be dedicating an entire month of reviews to more diverse reads. Thank you Cynthia!